HomeMG plays Mary Poppins medley for her school musical! MG plays Mary Poppins medley for her school musical! Martina is playing the Prelude to her show, Mary Poppins, at her school, which is today and tomorrow! I put together a medley for her to play, and she created this beautiful “cut and paste” score. 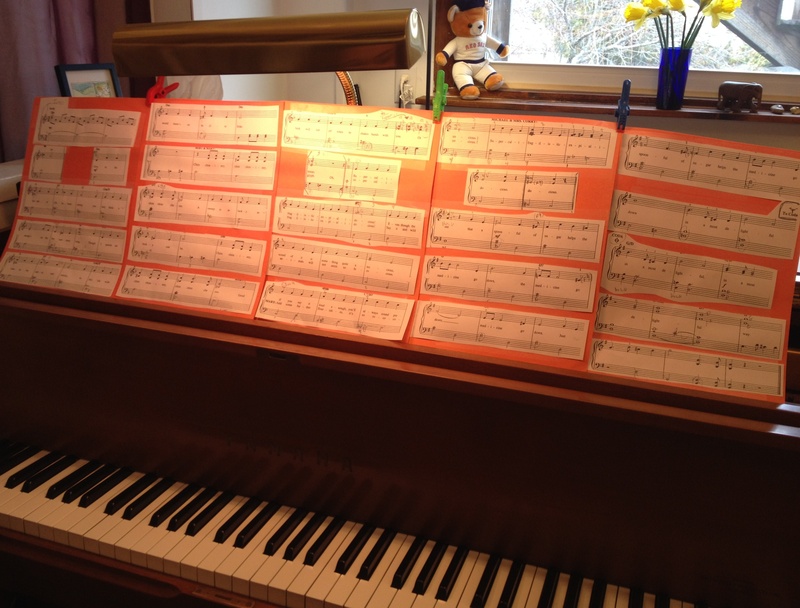 Martina’s cut-and-pasted score of her Mary Poppins medley. ← Practice for the Elephants Contest Begins April 8!